A bright and exotic bouquet perfect for any occasion. 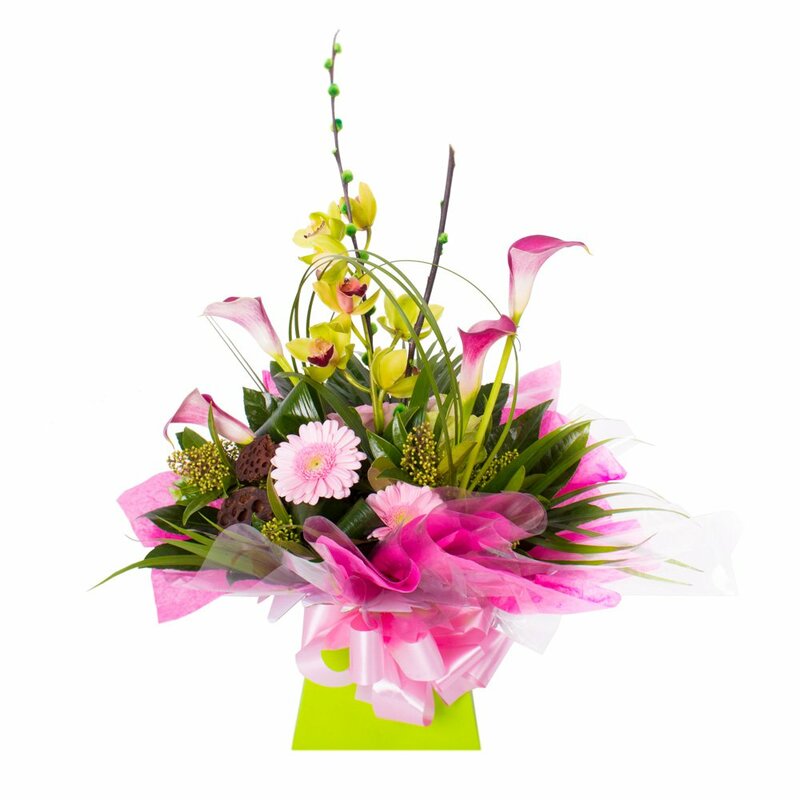 The image is for design choice only and the exact flowers and colours used WILL vary to provide you with the best gift on the day. If you require a gift in similar colours/flowers to the image shown please allow 48 hours for your order to ensure availability.